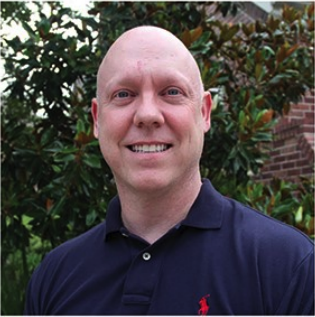 Damon is an Associate Instructor in our Comprehensive Orthodontic Education program in Tulsa. He participates in the Gerety Orthodontic Training programs for assistants as well as our annual Symposium. Damon began his orthodontic studies with Gerety Orthodontic Seminars in 1995, which allowed him to incorporate orthodontics into his busy family practice. Over the last 20 years Dr Huffman has completed over 700 orthodontic cases following Dr Gerety’s non-extraction straight wire techniques. Graduating from Channelview High School in 1987 with a goal of becoming a heart surgeon, Damon began working in his father’s dental office at 17 years old. While working as a dental assistant and repairing dentures, he found his ultimate calling. Damon attended San Jacinto College and the University of Houston. He was accepted into dental school at the University of Texas in Houston, where he graduated in 1994. After passing the state board licensing exam with a perfect score, he immediately joined his father’s family practice. In 1999, he purchased that practice where he continues to enjoy all disciplines of dentistry. On any given day at the office, you may find him doing fillings, implants, braces, and root canals. Dr Huffman has been an active member of the American Orthodontic Society and the Academy of General Dentistry. Dr. Huffman received his Fellowship in the AOS in 2011, his Fellowship in the AGD in 2013, and his Diplomate from the AOS in 2014. In 2014 he was named Forum Master of the Gerety Orthodontic Seminars website. Damon currently assists in teaching the Robert G Gerety Comprehensive Orthodontic Program in Tulsa, OK.